It’s strange—some of my most vivid memories from childhood involve quiet hours sitting with those extremely delightful things that arrived in the mail every year: the Christmas Wish books from Simpsons, Eatons, and Sears. Like most children, I loved toys. I wanted pretty much everything I saw in the catalogue. I lived in a city where I could go in-person to see the stuff at the department stores, but I much preferred leisurely leafing through the catalogue to pick out the gifts I might ask for from Santa. In the catalogue, everything just looked better than it did in real life, and you also didn’t have to push through crowds of people just to look at the toys. There were a few special things I coveted with my entire being, things I knew were far too expensive for our family budget. It didn’t really matter that I would never get them. I just loved imagining I might find them wrapped up for me someday: the life-sized stuffed pony, the Barbie Dream House, or that Millennium Falcon ship for my Star Wars action figures to ride in. In fact, I don’t remember the gifts I actually received nearly as well as the ones I didn’t. I was under the spell of mail-order catalogue marketing and it was definitely my happy place: a land of dreams. For many Canadians, catalogues weren’t just a convenience, they were a window to the larger world. Mail-order business has been a big part of Canadian life since 1884. That was the year the Timothy Eaton Companyopens a new window sent out the first print catalogues from which customers could select items to have sent to them in the mail. Suddenly people across the country could have access to many of the same things that were available in the big cities like Toronto and Montréal. It makes sense that Canada, a country spread over a very large geographical area, became one of the early and enthusiastic adopters of catalogue shopping. While the first department store catalogues mostly offered clothing and had no illustrationsopens a new window, the businesses expanded over time to sell almost anything you can think of, and the print catalogues grew from humble pamphlets into big glossy magazines. The American mail-order giant Sears even sold house-building kitsopens a new window which could be chosen from the catalogue and shipped to your desired location for you to assemble. Read more in the article from History.com: When the Sears Catalog Sold Everything From Houses to Hubcaps. Today, many of us have turned to online shopping to meet needs of convenience and variety, but print catalogues live on as important historical documents. They provide a year-by-year snapshot of what was available in the world of things in the past century: clothing, technology, furniture, and more. Unlike a website, which is constantly changing its content, the catalogue captures the moment and preserves it as long as you keep that shiny book. Catalogues are collected and kept by libraries as a resource for many types of research. Antique collectors use them to help identify items they come across in sales or auctions. Catalogues can help set and costume designers recreate a certain time period for film and theatre. Writing an historical novel? Mail order catalogues can provide details of what might have be in a home of the time. 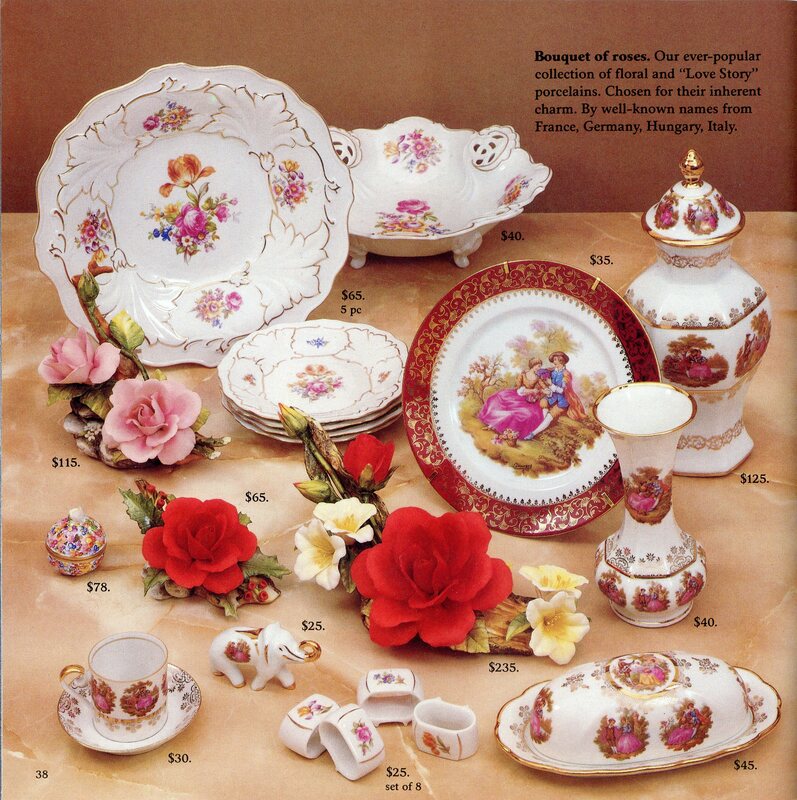 Catalogues may also appeal to designers looking for inspiration from the past, and of course, there are people like me who just enjoy revisiting childhood memories! Halifax Public Libraries recently received a collection of retail catalogues from the 1960s and 1970s which supplement our existing collection of Sears catalogues. Eatons was the first and one of the longest-running players in the mail-order business. New-to-us catalogues from 1966 to 1976 can be viewed at Halifax Central Library. Montréal-based Birks Jewelers and their iconic blue gift boxes first appeared in Halifax in 1919, when the company took over a well-established Halifax silversmith company known as Michael Septimus Brown &Co. The flagship Birks Building at 493-497 Barrington was a beautiful early Art Deco department store, and was renovated in 1954 to include two floors of merchandise and brand new fluorescent lighting. At its peak, Birks had five locations at the Halifax Shopping Centre, Dartmouth’s MicMac Mall, Scotia Square and the Lord Nelson Shopping Arcade on Spring Garden Road. By 1991, the Birks building on Barrington was sold to developer Canterbury Group Limited, and now is used for downtown parking. 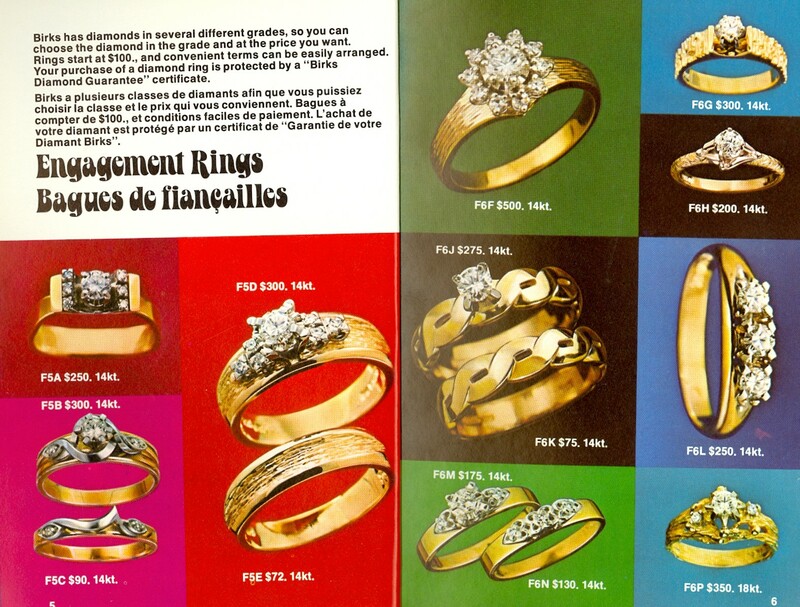 Birks published an important mail-order catalogue; one might call it a “wish book” for grownups who like bling. Explore our recently acquired Birks cataloguesopens a new window from 1965-1987 for some insight into how jewelry fashion changed over a generation. There are also reprinted catalogues of other well-known retail stores, such as Hudson’s Bay Company, Robert Simpson’s Company and Harrods Stores, Ltd in the Reference Collection. For further exploration of retail catalogues, we recommend the Kingston Frontenac Public Library’s excellent collection of early 20th century catalogues, which can be viewed online here. There was a lot of excitement when the new IKEA store opened up at Dartmouth Crossing last year. Before the store opened, IKEA mailed their newest print catalogue to many households in our area. I didn’t find it quite as engrossing at the toy catalogues of my childhood, but it certainly sparked some wishful thinking in a lot of people. The children in my life enjoy print catalogues much like I did; while the older generation of department stores have mostly gone, there are still much anticipated little booklets full of LEGO or Playmobil items—not to mention all the tools toys they like to look at in the Canadian Tire catalogue. In fact, print catalogues like this are making a bit of a comeback. Marketing professionals are noting they have a strong appeal for those in the millennial age group and can be a way to “cut through the noise” of social media and email marketing. Who knows—perhaps the library of the future will someday collect your IKEA and Canadian Tire catalogues to capture a snapshot of what was in style in 2018.